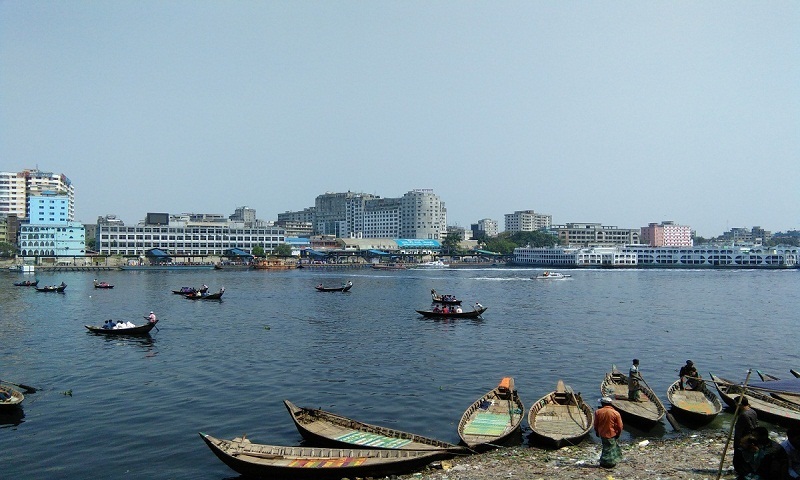 Bodies of four other people, who went missing in a boat capsize in the Buriganga River on Thursday, were recovered on Saturday, raising the death toll from the incident to five. The deceased were identified as Meem, 8, Mahi, 6, daughters of Shahjalal, hailing from Shariatpur district, Delwar, 38 and his seven-month old son Junayed. The body of minor girl Mahi, was retrieved from the river around 8am while bodies of and Dekwar and his son Junayed were recovered around 11:30am, said Mostafa Mohsin of fire service, co-coordinator of the joint diver team. Later, the diver team retrieved the body of Meem around 12:30pm. Earlier on Thursday, six members of a family, Shahjalal’s wife Shahida, 28, their two daughters Meem, and Mahiand Shahjalal’s sister Jamshida, her husband Delwar,and their three-month-old son Junayed—went missing when a boat sank near the Sadarghat Launch Terminal around 10pm as the launch, ‘MV Suravi-7’ hit it. Shahjalal, 35, managed to swim ashore after the incident and got admitted to the Pangu Hospital as he lost his two legs during the accident.